A summit at the Vatican to address child sexual abuse next month will include both a penitential liturgy and testimonies from survivors. Source: Crux. The meeting will include plenary sessions, working groups and time for communal prayer while listening to the personal testimonies of abuse survivors. Though no formal schedule has yet been released, there will also be a penitential liturgy during the three-day gathering, which will conclude with Mass celebrated by Pope Francis. According to a Vatican communique yesterday, Pope Francis assured the committee that he would be present for the entirety of the summit. He has chosen a former Vatican spokesman, Jesuit Father Federico Lombardi, to be moderator for the plenary sessions. 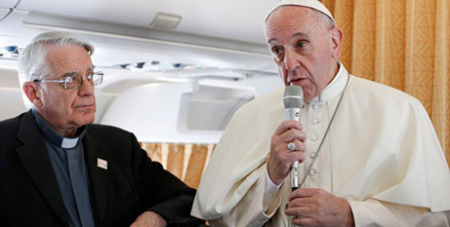 Called by Pope Francis to address the current global clerical sexual abuse crisis in the Catholic Church, the summit has drawn some 180 people from around the world, including the presidents of every episcopal conference, abuse survivors and superiors of religious communities. The four-person organising committee, personally selected by Pope Francis, includes Cardinal Blase Cupich of Chicago; Archbishop Charles Scicluna of Malta, adjunct secretary for the Vatican Congregation for the Doctrine of the Faith, who once served as the Vatican’s leading prosecutor on child abuse and who has played an instrumental role in cleaning up the abuse scandals in Chile; Jesuit Fr Hans Zollner, a member of the Pontifical Commission for the Protection of Minors and head of the Center for Child Protection at the Pontifical Gregorian University; and Cardinal Oswald Gracias of Mumbai, who also serves on Francis’s council of cardinal advisors. In December, organisers of the summit urged the heads of bishops’ conferences to prepare for the gathering by meeting with survivors personally to understand the extent of the harm caused by abuse.